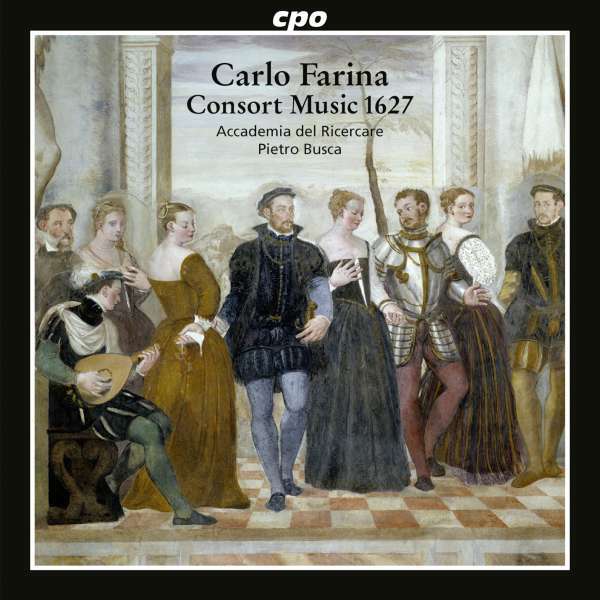 CPO is presenting their second CD featuring the Accademia Ricercare ensemble dances and sonatas of Carlos Farina (1600-1640). Some musicologists simply continue to regard Carlo Farina as music history’s first composer of program music because of the Capriccio stravagante, his most famous work. However, the great expressive variety and the sumptuous, finely constructed textures of other works enlarge our picture of this composer, who was much more multifaceted than the (certainly very remarkable) Capriccio stravagante might lead us to believe.